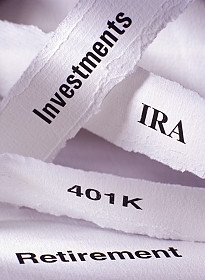 BKHM provides audit and consulting services to sponsors of 401(k), 403(b) benefit plans. At BKHM, we have a proven history of offering our clients the highest level of service and experience, while also keeping our fees fair and reasonable. Our audit methodology for employee benefit plans results in a complete and efficient process that minimizes the time and overall effort needed to complete the audit. During our audit, we will also offer any suggestions we may observe to help improve the internal controls of your plan. BKHM is a member of the American Institute of Certified Public Accountants' (AICPA) Employee Benefit Plan Audit Quality Center (EBPAQC) for CPA firms. The EBPAQC is a national community of CPA firms that demonstrate a commitment to ERISA (Employee Retirement Income Security Act) audit quality and raise awareness about the importance of ERISA audits. The EBPAQC provides members with best practices, guidelines and tools CPAs need to perform quality ERISA audits and better serve their clients. In addition, we have access to employee benefit plan experts that can assist you with any questions that may arise.